The quality of the carving. The rarity of the subject. Below you can find some example of the different type of carving, and you'll see the difference. I cannot show you any poor carved cameo since I have not one in my collection. I never purchased one of them. The rarity of the subject is another important reason to give it a value. Subject as Flora, Medusa, or Bacchantes and other Mythological subjects were more popular in Georgian (1720/1837) and Victorian era (1837/1901), but finding a front face Medusa, as the one you can see above, or a front face Bacchante is very rare, so in these cases we can say that that subject is "Rare". 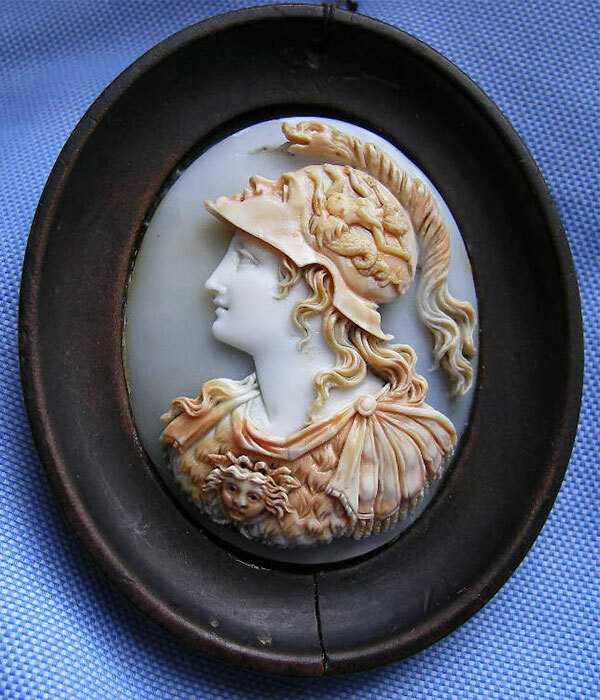 The frame of a cameo is of course important, but remember that the carving is the main thing you have to look. 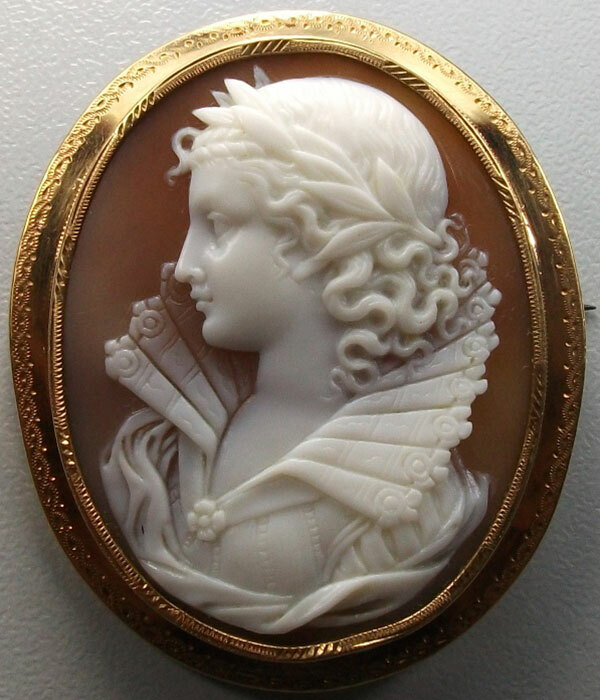 If an excellent cameo has a gorgeous gold frame too, it makes a cameo more valuable, but sometimes the best carved cameo have a very simple frame made of brass or pinchbeck. The condition of a cameo is a very important point to makes it more or less valuable. 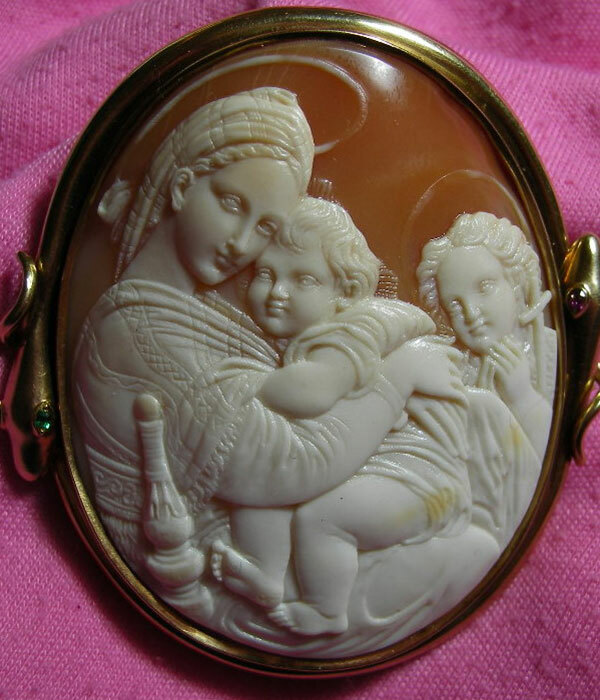 Most of the antique cameos have stress lines or hairlines due to their age or often by origin. We can find lines even in the new cameos, this is a peculiarity of the shell, and then we are talking of 100/200 years old cameos. These stress lines or incipient cracks or very tiny chips don't have to make us worried, unless the cameo is broken or has a large crack. The most important point is that the carving should be not worn. 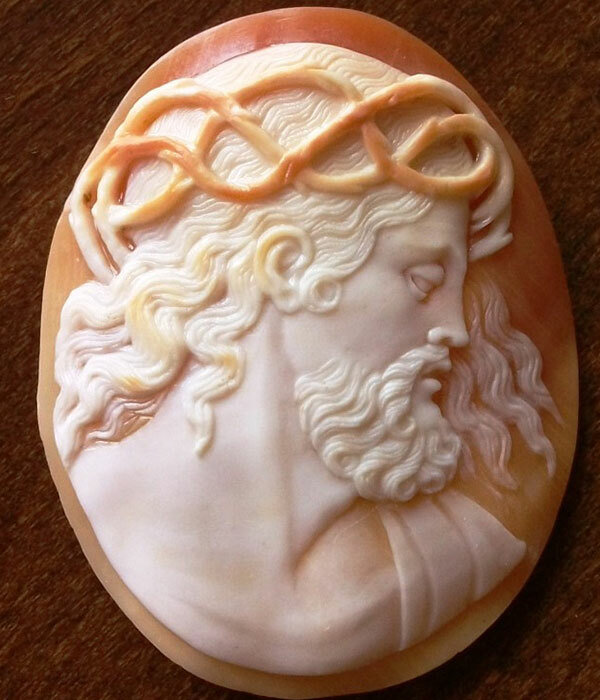 The material from which a cameo is made is another point of evaluation, shell is the most common material, then we have the hardstones, the coral, the lava and the ivory, that is the rarest. 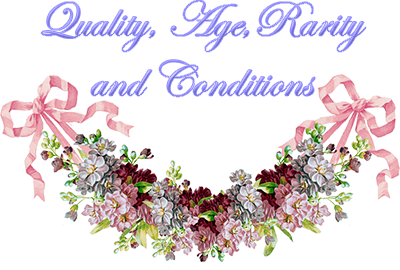 After the considerations above a cameo can be approximately valued, but the final evaluation and price depend on the demand of the market also.